The 10th Conference of the Polish Wind Energy Association is the biggest industry event in Central and Eastern Europe. Almost 50 exhibitors from all around the world will present a range of new products, services and technology solutions in wind power. We expect more than 600 attendees. Some 30 panelists will deliver their presentations at six conference sessions. This is the only event in Poland showing in such a comprehensive manner how important the RES industry is for the Polish energy sector. Role of wind power in Poland's Energy Policy. - Will the new regulations help Poland meet its electricity production targets set in the National RES Action Plan for 2020? - By presenting the Energy Union framework, the European Commission has confirmed its commitment to meet its targets to reduce emissions by 40% till 2030. Is Poland capable of meeting this target without increasing the share of renewables in the national energy mix after 2020? - Are countries with constantly increasing role of renewables in their energy policy making a mistake by supporting the development of green technologies? - The Polish Energy Policy for 2050 includes plans to increase the share of coal in the fuel mix. Wind power is among the least burdensome and cheapest technologies of electricity generation without compromising the stability of the grid. However, the Energy Policy for 2050 does not include a significant increase of RES share in electricity generation. What kind of market for wind power can we expect in the coming years? 2. Session "How to provide wind farm service – possible O&M models"
- Every year there is a growing number of wind turbines with expiring warranty periods. 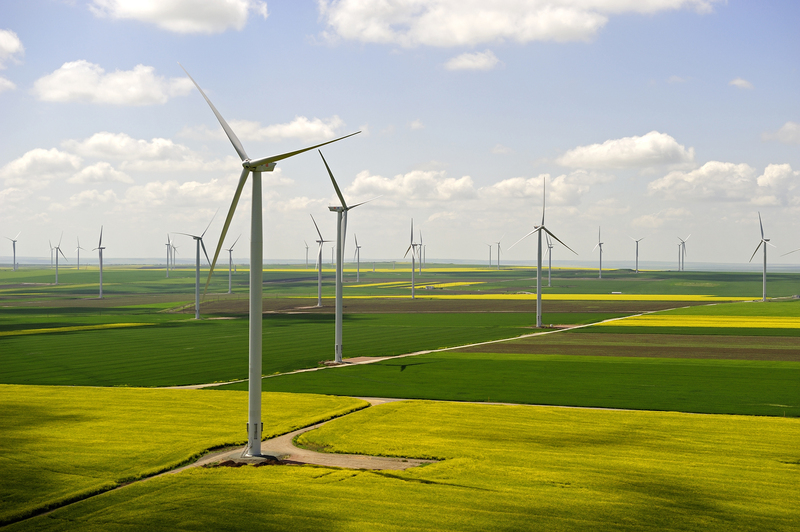 There is also a growing awareness among wind farm operators in Poland regarding the possibility to increase the operational effectiveness of wind turbines. A market is shaping up for maintenance services provided independently of wind turbine manufacturers. As PWEA we see more operators and investors interested in O&M developments in other European markets. What are the experiences of developed markets in that regard? The panel will include the representatives of two large European companies with significant wind farm portfolios, as well as independent service providers. This will provide an opportunity to gain unique first-hand knowledge about the O&M market in Europe, both from those who purchase maintenance services and those who provide such services. 3. Debate: "New principles for wind turbine site selection – a challenge for investors?" - How will the Landscape Act affect the principles for wind farm site selection? - Will the changes to the Building Law and the Spatial Planning Act create new barriers for wind project developers? - The direction of legal changes is for local zoning plans to constitute a basis for wind turbine location, and for regional governments to have more to say regarding landscape protection. The final provisions have not been adopted yet. Will the provisions requiring wind turbines to be installed based on local zoning plans come into effect, and when? What criteria will be used to develop landscape audits in the regions? Session "New noise regulations for wind power"
- What are the current challenges in forecasting and measurement of noise emissions for wind turbines? What are the practical aspects of wind turbine impact assessment with regard to noise? What are the directions of changes in noise impact assessment methodologies? - The representatives of the Ministry of Environment have been invited to the discussion, as that Ministry is responsible for proposals of actions to regulate the protection of environment from noise. What is the direction of legal regulations being developed by the Ministry's team? - One of the ideas discussed is to distinguish wind turbines as a separate group of noise sources, and to set a uniform admissible noise level for all types of housing areas. How will such changes affect the investment process? 4. Session "Time for a market for ancillary services from wind farms in Poland"
- The Polish power grid experiences a dynamic growth of the share of wind installations – it is forecasted to reach 10% of the total generation capacity in 2020. What are the technology challenges to be faced by the Polish power grid after 2020? - With the increased share of wind power in the Polish grid, a market should be created for ancillary services, with a role to be played by wind farms. Is market-based payment an incentive to reduce costs, be it for RES or conventional power plants? - The session will include presentations of examples from Germany and Scandinavia regarding ancillary services provided by wind farms. 5. Session "Wind farms on the energy market"
- The new RES Act introduces new regulations for trading of electricity from wind farms. The auction price formula means that a wind farm will only receive support on the auctioned level if it is able to sell electricity at the average market price. Will it be easy for investors to meet this requirement? - Another challenge is the need to cover the balancing costs, as the auction price is a gross price intended to include the balancing costs. What are the possibilities for their optimisation? - Wind farms have to be integrated with the energy market – it is a new challenge introduced by the new RES Act in the wake of EU regulations published last year.